Van Persie is indicated ready to extend his contract with Arsenal. 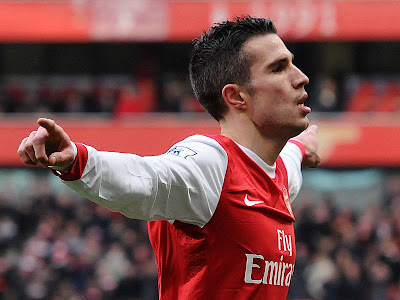 Van Persie contract will expire next summer. If the attacker at once team captain has not yet extended his contract then Arsenal will loss. They could be forced to sell Van Persie at the end of this season or keep it but with the consequences of the players will go to another club on a free transfer. But the latest news from the Daily Telegraph said the Dutchman was still willing to stay at Arsenal and talk about his new contract with some reservations. In addition to demand a raise, Van Persie is also hoping his team will bring in new players qualified for next summer in order to compete for domestic and European titles. Arsenal's highest paid player at the moment 'just' £ 100 thousand, less than the salary of star players in other top clubs. They are also believed to have a budget of approximately £ 55 million to buy new players but do not spend in the transfer market in January. Other players whose contract also expires in the summer is Tomas Rosicky, Andrei Arshavin and Theo Walcott. Until now, only Walcott is rumored to be offered a contract extension.